I hope you all head a great weekend. I am back from a week of family and though it was really nice and fun I am so glad to be back at home alone and can relax in my calm and pieceful apartment. Okay no that actually was a big fat lie 😉 As always I can’t rest and instead busy myself all morning. I have already sorted out where I can change some Euros into Dollars, when I can get a receipt as my doctor is on vacation and what else I need to organize this week. Oh yes and then I really need to re-organize my wardrobe. Okay but first things first. 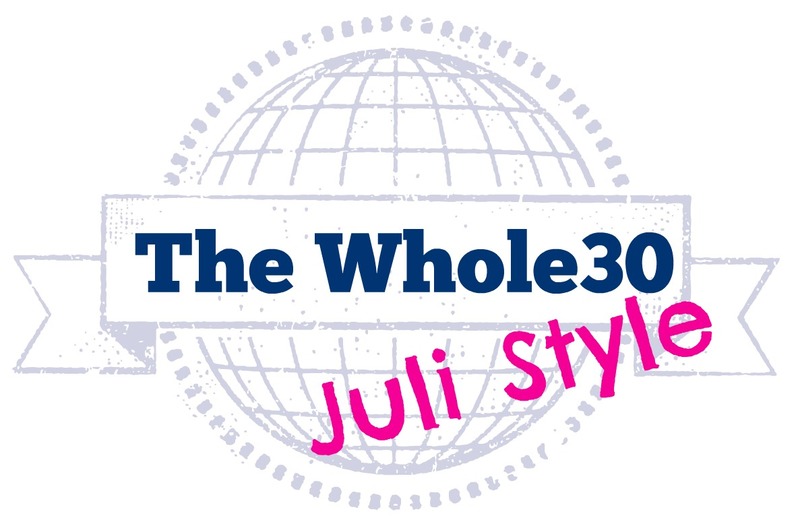 Today I am finally going to recap my Whole30 experience. I took some time but I am glad to have waited for two weeks until I recap as in my opinion you shouldn’t neglect the aftermath of such a process in a recap. Higher energy levels – I can’t say that I my energy levels have improved but I can’t report the opposite either. As it was a stressful time for me in general I can’t assume draw any conclusion here. Better quality of sleep – I slept dead-like. I have always been sleeping well but this overstepped my wildest expectations. I’ve never been sleeping that sound without my usually frequent vivid dreams from which I wake up worn out. Instead I woke up well rested and fit most mornings. Being naturally happy – I am moody, have always been, will always be. Improved athletic performance – My performance was good the last weeks. I was able to work had and improve my performance but I wouldn’t say that was only because of my diet. It certainly was a part but I don’t think it was the major part. Reduction of food cravings, particularly sugar and carbs – YES that definitely happened. Improvement of chronic inflammations and blood levels – I am inflammation free for about 6 month now and my blood levels are impeccable. So I can’t say anything in particular but you never know if eating a certain diet prevents a relapse. Scientific findings suggest that there IS a relation between diet and CIBD though they never found a statistically significant correlation. BUT the hell with statistic correlations as long as you FEEL improvement. It was exhausting to always think about food. Meal prepping definitely is necessary and if you fail that (and I did regularly) you have to grab some nuts and fruit instead as a quick and yummy alternative. Don’t get me wrong I really liked that in the beginning but after 4 weeks I was a bit bored. This kind of diet is expensive but I usually spend a lot of money on organic and local food so I didn’t mind to keep the status quo. I had to explain myself over and over again why I am doing this, what the purpose is, why I was on a “diet” – in the worst sense of words and why the hell I were eating so many nuts because there was *gasp* FAT in there…..
Because of being bored with food sometimes I really had a hard time to make sure I was eating enough. For me a challenge like this always is a possible door opener for disordered eating behavior and I had to remind myself a couple of times that I really need to eat and that a bowl of berries and a few nuts IS NOT a decent meal. I can’t eat strictly paleo but I will definitely keep up some things. For example I will eat cheese again but I am going to limit my soy intake. And I realized that eating grains makes me limp and slaggy and I will definitely cut some grains from my diet. Have a lovely start to the week I am going to be busy again now. Glad you reaped some benefits and also saw some limitations- I was really rooting for you to see success and the fact that your sleep improved and also no macro counting- that in itself is an achievement. To be honest, I was slightly worried that by the end of this, you’d proclaim it to be a miracle and stick to it throughout your American trip but so glad that isn’t the case- I think you’ll soon realise how adjusted your body is to certain things in achieving the elusive ‘balance’. I certainly see limitations and I surely don’t see this diet as a miracle cure of all food related problems. I see positive effects. But whichever positive effect I get from this diet it would totally be neglected by the horrible psychological effect depriving myself from junkfood whilst being on my honeymoon would have on me 😉 I would NEVER be that masochistic! I think the miracle word here is BALANCE! Yay! The whole eating style worked for you! 🙂 will you still cook wth coconut oil and. not hydrogenated oils? Thank you Linda 🙂 This part of this challenge wasn’ challenging at all as I used almost only coconut oil and olive oil before. So yes I’ll stick to that mainly but I am not freaking myself out about hydrogenated oils when eating out. I’m still digging on those sweet potato fries. Maybe we could call the fruit and nuts a meal if we paired it with the fries. Yes? I’m happy you had a good time with this and saw so many positive things, including waking up each day feeling refreshed. That is an awesome feeling. You’re right. On some days I didn’t even need coffee. I just had coffee because I wanted to! Great feeling!